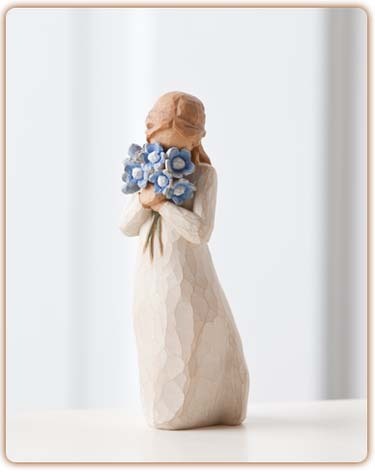 Our Forget Me Not figurine is a beautiful sculpture that speaks in quiet ways to heal and comfort. Willow Tree's artist, Susan Lordi, hand carves the original. They are then cast and hand painted. A thoughtful memorial gift to express your sympathy. A simple and thoughtful condolence gift.